Have you ever dreamed about being like a bird and able to soar above it all. The freedom to escape from the daily grind. Flying is some thing that we dream about. C-More Flying School can make that dream come true. Come and try a no obligation trial lesson flight, in our Microlight, with our fully qualified instructors. You can grab hold of the controls and watch the view go by in a way you have never experienced before. For those that do want to go further, we also offer training towards your own pilots licence. CMORE FLYING SCHOOL from CMore Flying School on Vimeo. 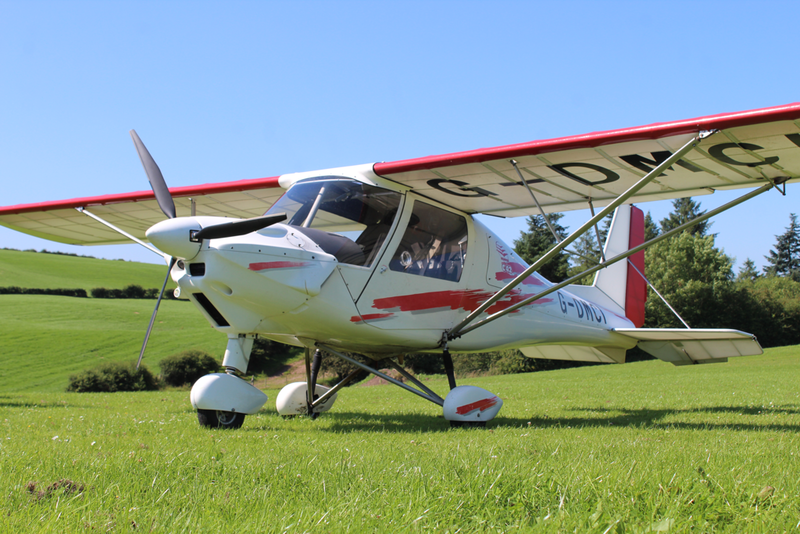 C-More Flying School is located in the heart of scenic County Tyrone, N.Ireland. Between Omagh and Cookstown. You will be made feel welcome in our family friendly club house with ample car parking, refreshments, pool table, TV and Free Wi-Fi. Flying is weather dependant. Check out the local weather to see the current conditions. Flights can be rescheduled if weather conditions are not suitable. ​or press the Buy button.